MSRP $59620 Rebate $3000 RT discount $8522. Price includes $169 for dealer installed bug guard. 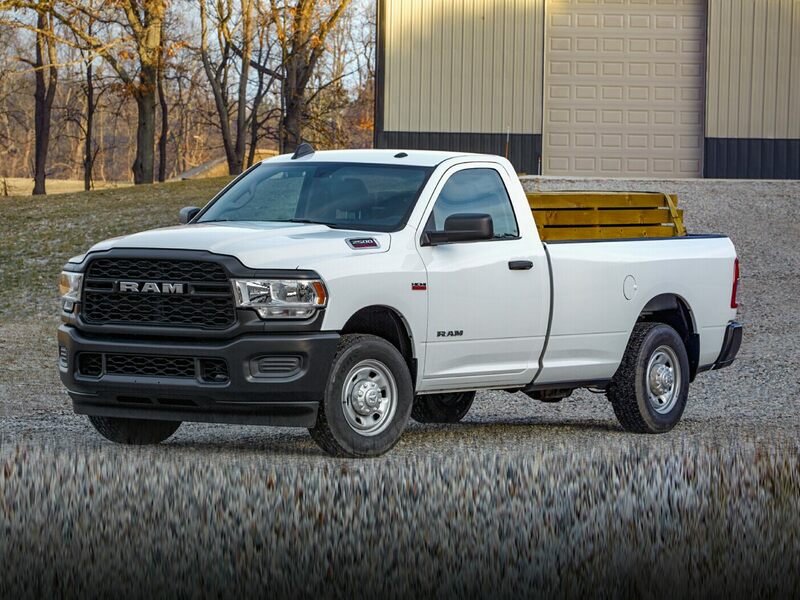 Expires 04/30/20192018 Ram 2500 Big Horn Brilliant Black Crystal Pearlcoat Backup Camera, Bluetooth, Hands-Free, 115V Auxiliary Power Outlet, 1-Year SiriusXM Guardian Trial, 3.42 Axle Ratio, 40/20/40 Split Bench Seat, 8.4" Touchscreen Display, Air Conditioning ATC w/Dual Zone Control, Anti-Spin Differential Rear Axle, Apple CarPlay, Big Horn Badge, Big Horn Regional Package, Bright/Bright Billets Grille, Charge Only Remote USB Port, Folding Flat Load Floor Storage, For Details Visit DriveUconnect.com, Front Center Seat Cushion Storage, Front Fog Lamps, Google Android Auto, GPS Antenna Input, HD Radio, Integrated Center Stack Radio, Integrated Voice Command w/Bluetooth, Leather Wrapped Steering Wheel, Media Hub (2 USB, AUX), Power 10-Way Driver Seat, Power Lumbar Adjust, Premium Cloth 40/20/40 Bench Seat, Quick Order Package 2FZ Big Horn, Radio: Uconnect 4C w/8.4" Display, Rear 60/40 Split Folding Seat, Remote Start System, SiriusXM Satellite Radio, Steering Wheel Mounted Audio Controls, Underhood Lamp, USB Host Flip, Wheels: 18" x 8.0" Polished Aluminum. ***Call (503) 258-5800 to speak to a Sales Manager*** Come in to Ron Tonkin Chrysler Jeep Dodge Ram Fiat in Milwaukie to test drive today! DL0087.